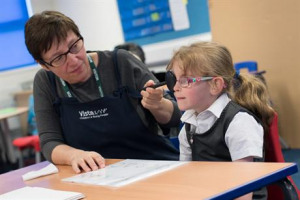 We want to deliver a fun and creative eye health project in Leicester primary schools for four and five-year-olds, with an interactive drama workshop and a vision screening for each child. 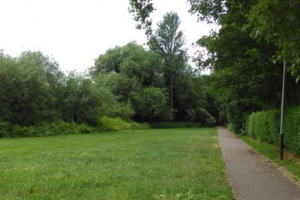 We want to improve a neglected, open green space in Knighton near to St Mary's Church. We plan a range of improvements to benefit wildlife and encourage local people to do more in their own gardens. 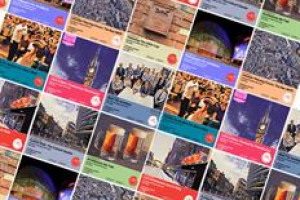 Leicester’s first (hopefully) annual architecture festival; taking over the Lightbox exhibition space at LCB Depot with a series of public events designed to promote local architecture. 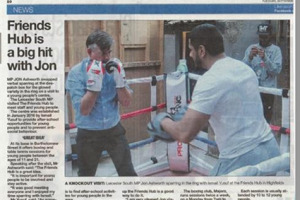 Delivering boxing and table tennis sessions to help tackle drug taking and anti-social behaviour through sports for the youth. This will mainly be in the Highfields area of Leicester. 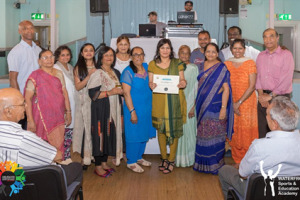 We are a community based group in Leicester that started out by helping Diabetic members of the community with the self-management of their condition. We aim to expand & provide a permanent premises.